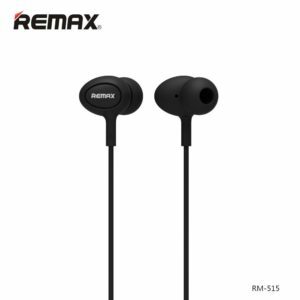 【HIGH QUALITY STEREO SOUND】: The speaker includes 5W dual acoustic drivers and two-channel enhanced bass module to delivers excellent sound without distortion even at highest volume. 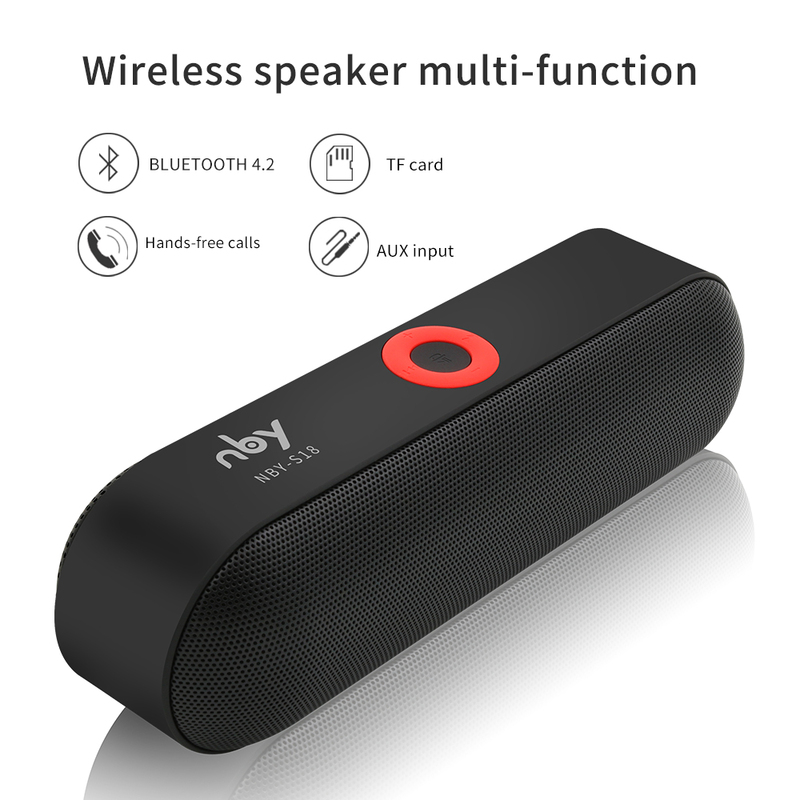 【BLUETOOTH 4.2 TECHNOLOGY】: The wireless Bluetooth speaker can be easily connected with your Android or iOS mobile devices. Automatically reconnects to the last device used. 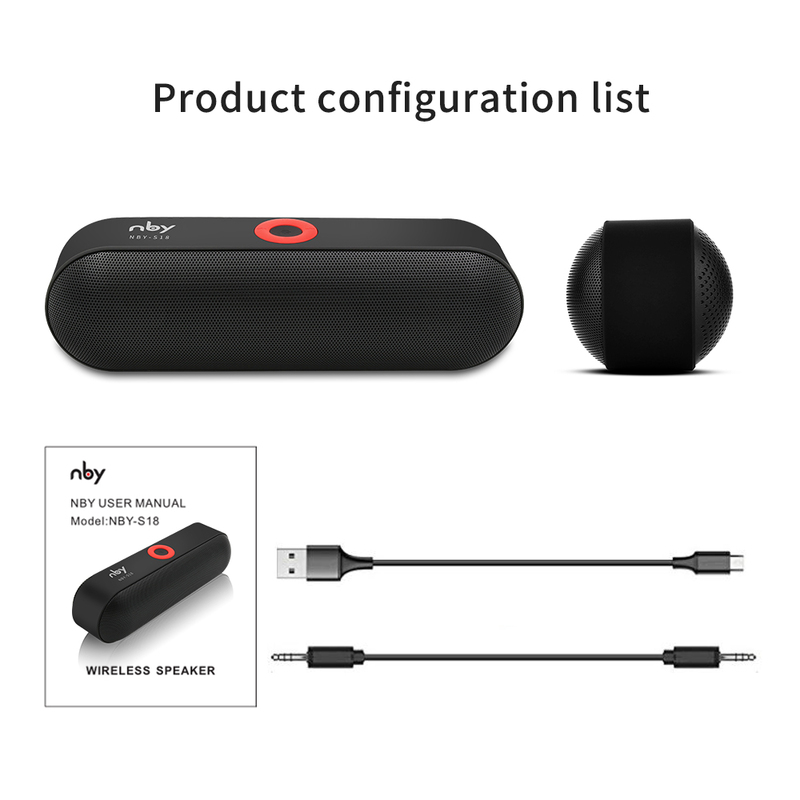 Instantly connect any Bluetooth-enabled device from up to 33 feet away. 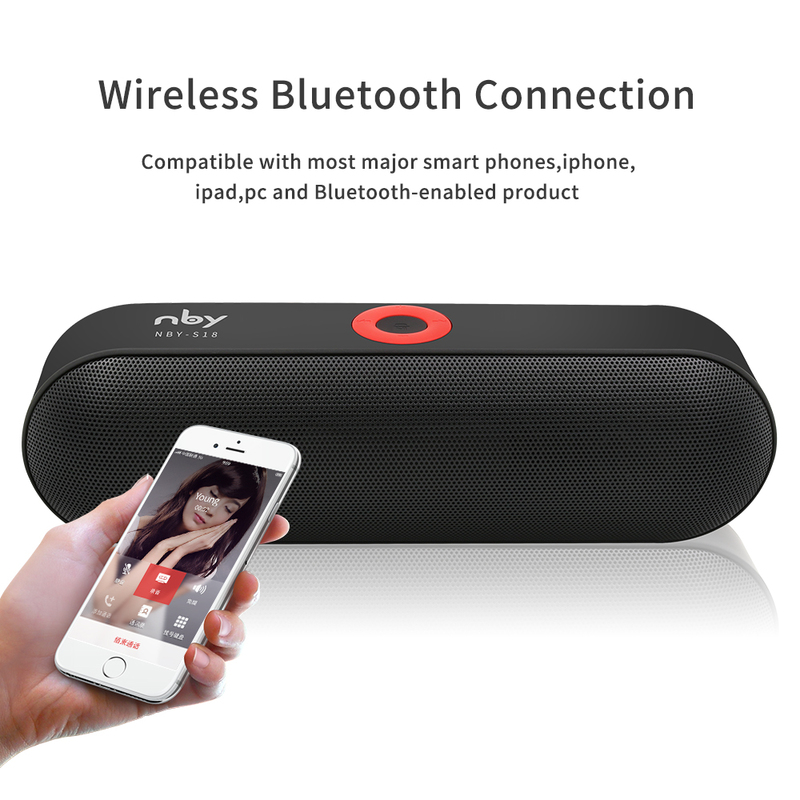 【LONG BATTERY LIFE 】: High Capacity 2200mAH rechargeable battery for up to 12 hours of playtime at 66% volume on a full charge. Actual playtime varies by volume level and audio content. 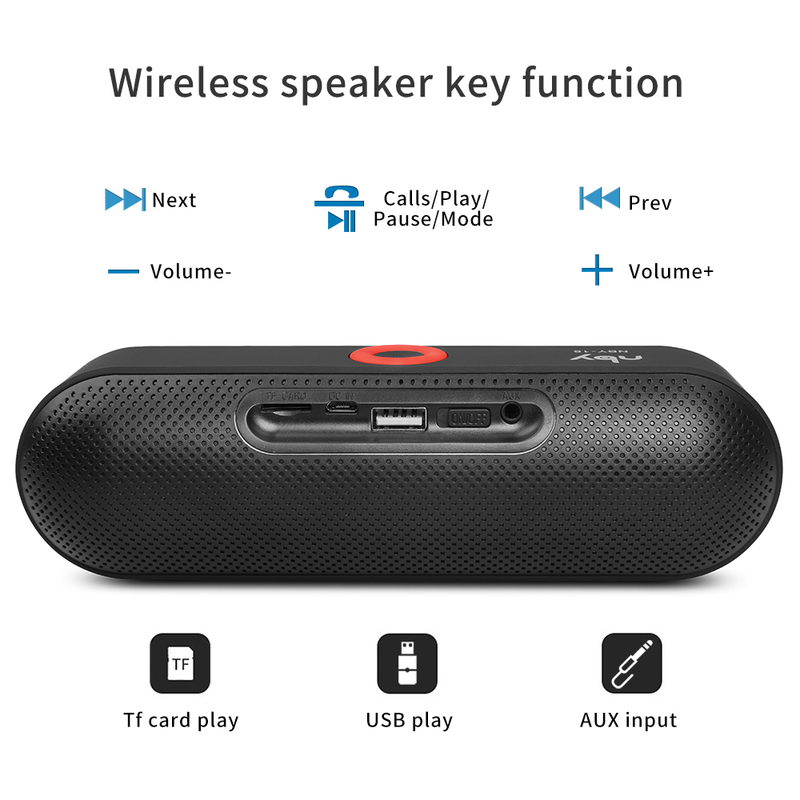 【PORTABLE BLUETOOTH SPEAKERS】: Enjoy a High Definition stereo sound with an impressive volume whether you’re lounging around the house, or partying, walking out, driving, outdoors, traveling and so on. 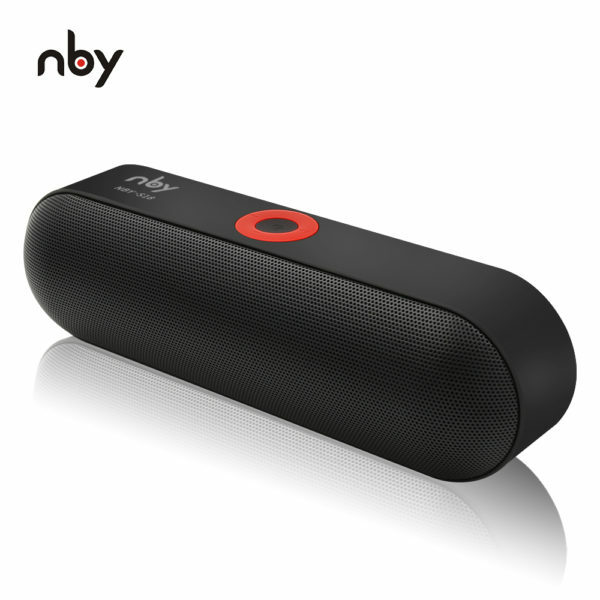 【WHAT YOU GET】: NBY S18 Stereo Bluetooth Speakers, Micro USB cable, 3.5mm audio cable, User Manual, 12-month warranty quality guarantee and friendly customer service. If you have any questions, please feel free to contact us. 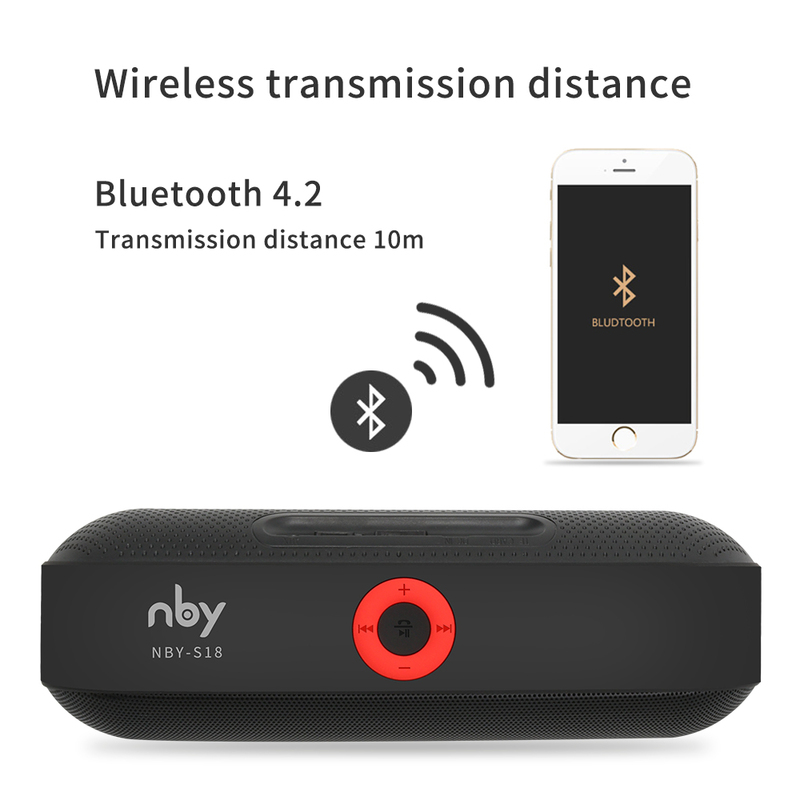 BLUETOOTH TECHNOLOGY.